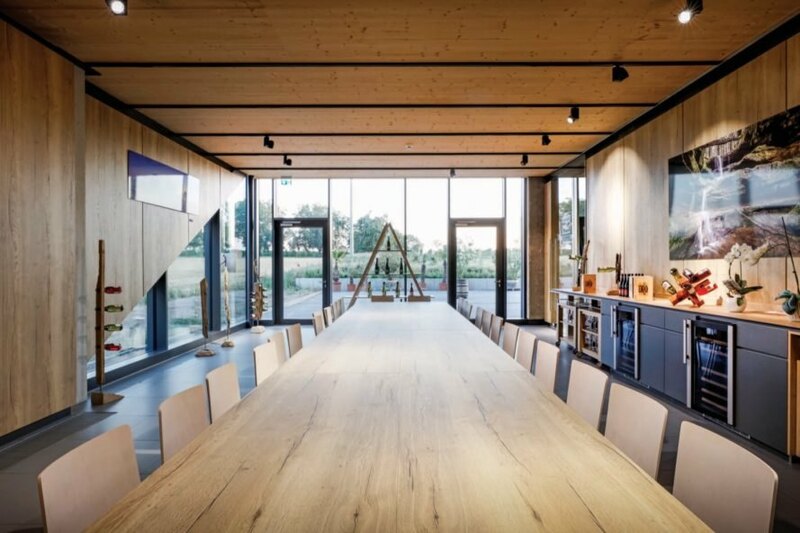 Wien-based architecture practice Architects Collective used innovative timber construction for the contemporary Nett Winery in the Pfalz wine region of Neustadt an der Weinstraße, Germany. 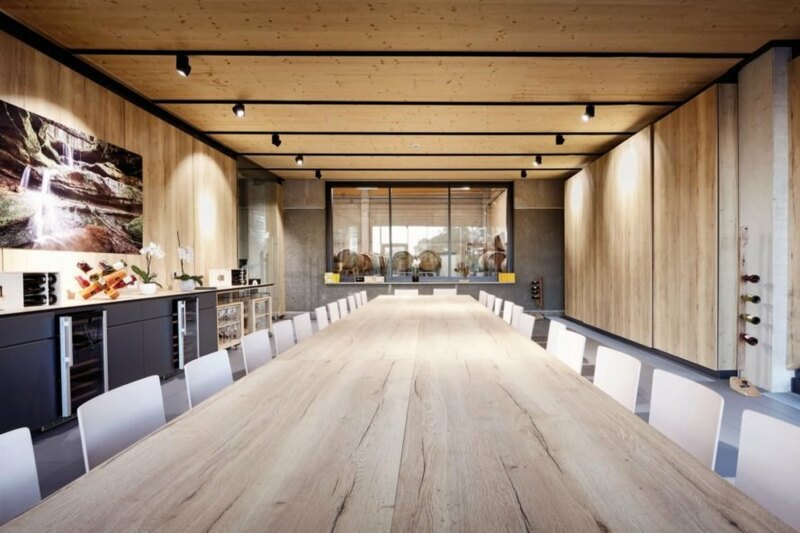 Unlike traditional wine cellars that typically feature massive walls or industrial steel, this new winery features comparatively lightweight construction using ecological materials, including a wooden outer shell and an inner structure of pumice-concrete. 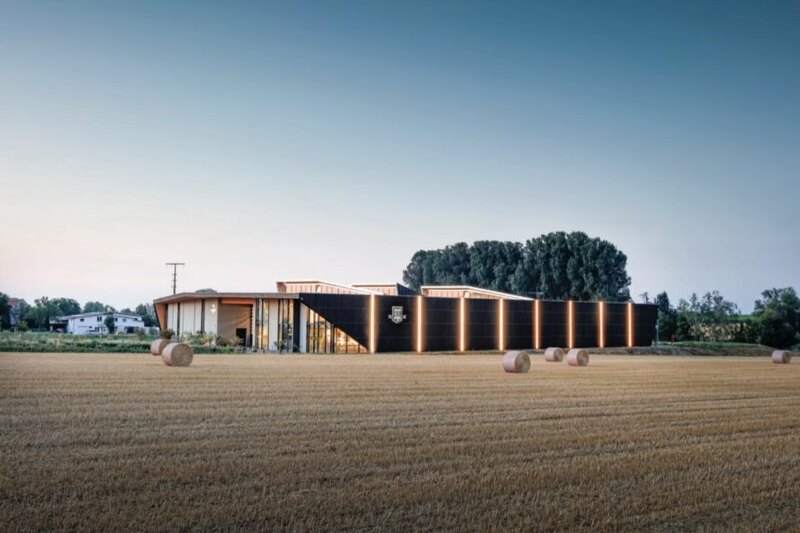 Inspired by Japanese architecture and Viennese modernism, the contemporary winery features an origami-like facade and a minimalist aesthetic with natural materials throughout. Covering a massive area of nearly 4,500 square meters, the Nett Winery manages the impressive feat of appearing to sit lightly on the land. 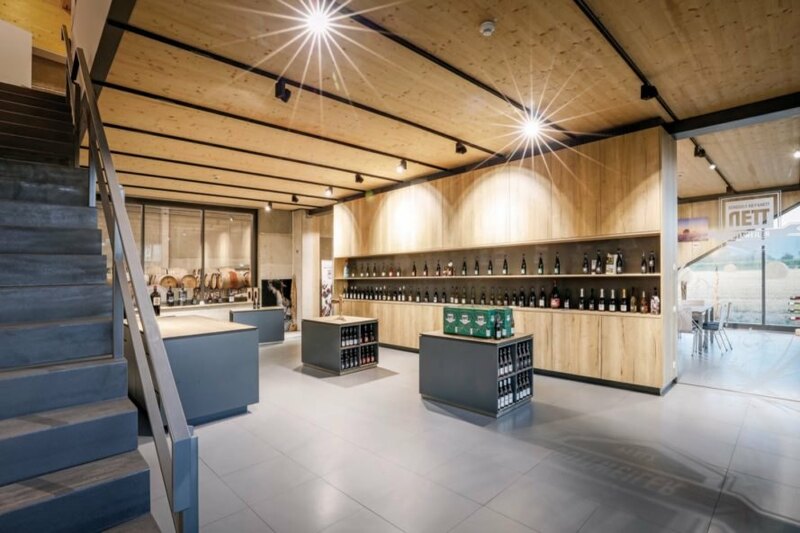 The building consists of two long rectangular halls connected with a covered passage and includes not only the entire production facilities for winemaking but also the sales area, tasting room, storage, office and living spaces for the family of winemakers as well. 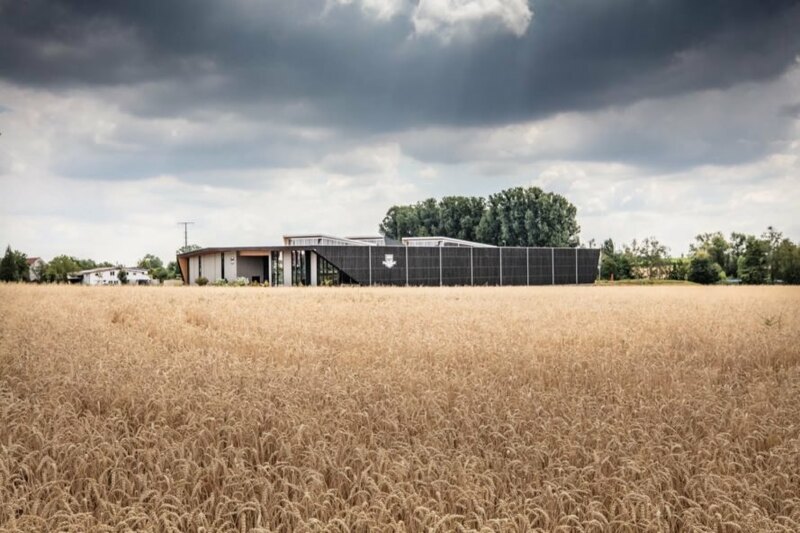 Architects Collective is behind this gorgeous winery in Germany. The architects blended Japanese architecture and Viennese modernism for a unique design. In addition to its beautiful design, the structure also benefits from a stunning setting. The west hall is comprised of the retail space, showroom, wine barrels, steel tanks, refrigeration and living spaces. The structure spans 4,500 square meters. Large windows offer views of the vineyards. The building resembles a Japanese tea pavilion. The facade is treated with the Shou-Sugi-Ban technique. 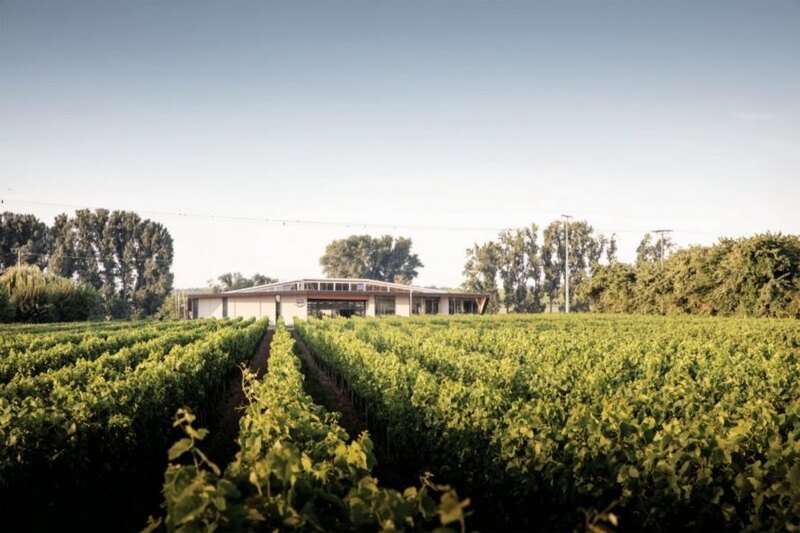 From the breathtaking vineyards to the beautiful winery itself, guests are sure to enjoy their time here.